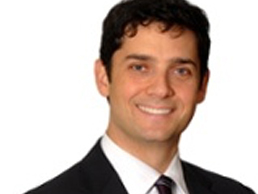 Adam Silver is the leader of the Performance Improvement practice at Farber Financial Group. He is also a key member of the firm’s Interim Management practice. The Performance Improvement practice helps executives and boards overcome operational and strategic challenges using proven management consulting processes to uncover potential and unleash performance. Adam joined Farber in November 2013 after fifteen years in management consulting, specializing in data-driven and hands-on operational improvement approaches to growth strategies and operational improvement. He spent seven years at McKinsey & Company (Toronto, Boston and Calgary) helping global and national clients improve their operations to deliver value, and two years working both independently, and with a Toronto-based boutique management consulting firm, helping mid-sized companies realize similar benefits.